Mannerheims expulsion from the Cadet School in Hamina seemed to cut short his military career in the Finnish army. Nevertheless, he was determined to pursue a military career. He served in the Russian (1887-1917) and Finnish armies (1918-1951)during the whole of his career. For nearly thirty years Mannerheim served as an officer in the Russian Imperial army, starting as a Cornet and advancing to the rank of Lieutenant General. Unlike many of his fellow students he showed great interest in his profession. 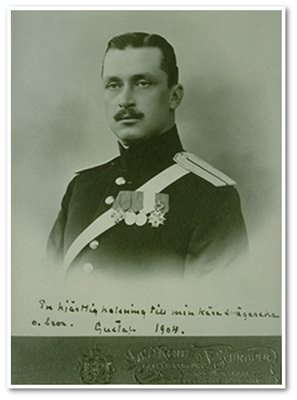 His first mission as an officer was in the 15th Alexandra Dragoon Regiment in Kalisz, Poland 1889-1890. 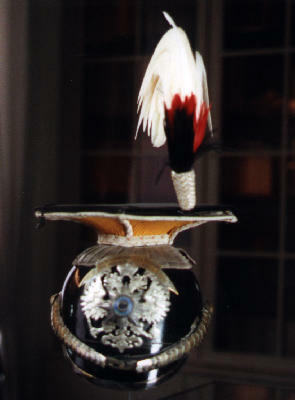 Mannerheims aristocratic family background, financial support from his maternal relatives and his successful military training opened him the way to the highly respected Regiment of the Guard. He had a commission in the Chevalier Guards of Her Highness, Empress Maria Feodorovna from 1891 till 1904. 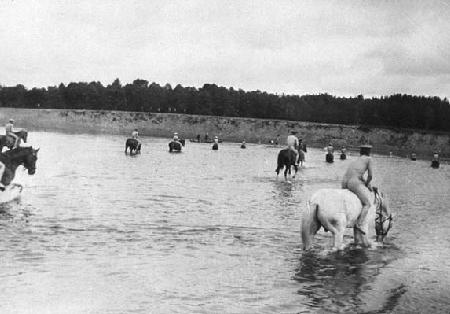 It was entirely to his liking when Mannerheim, who from an early age had been interested in horses, was afforded a post in the management of the Imperial Stables (1897-1903). 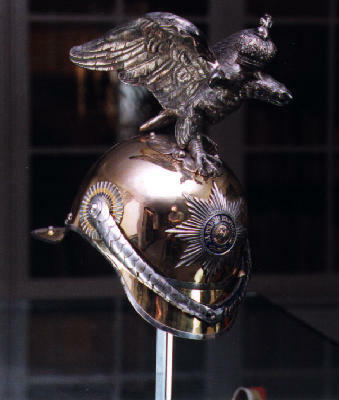 From 1903 till 1904 he was the head of the model squadron in the Officers Riding School. 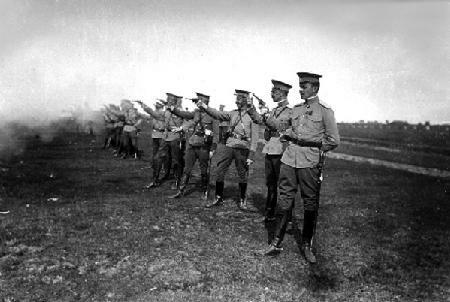 During the Russo-Japanese War Mannerheim was sent to Mantchuria as a junior officer of the 52nd Njezhin Dragoon Regiment, to gain war experience (1904-1905). This entailed leaving the Guards, but with his initiative and energy he managed to make a career in the commanding commissions of the cavalry. In 1906-1908 he undertook a military journey to China, to assemble intelligence of every kind. 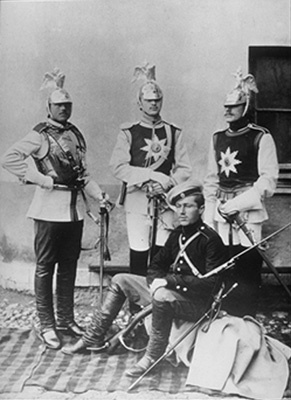 Having reported on this expedition, Mannerheim was transferred to Poland. 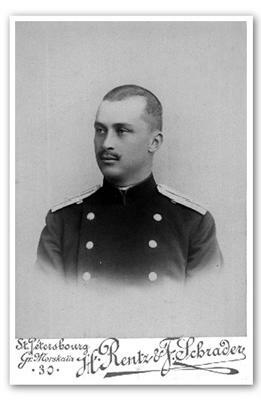 There he acted as the commander of the 13th Uhlan Regiment of Vladimir from 5 January, 1909, till 24 December, 1913, and as the commander of the separate Cavalry Brigade of the Guard from 24 December, 1913, till 26 June, 1915. 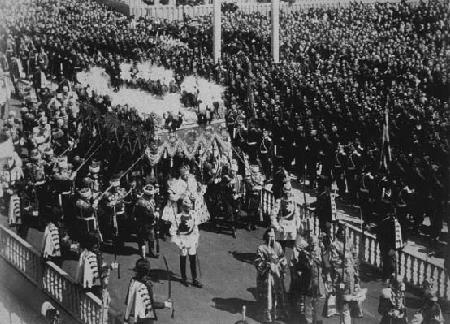 He was regarded as belonging to "the imperial entourage" on 5 October, 1912. During the initial years of the First World War Mannerheim was commander of the Cavalry Brigade (1914-1915) and of the 12th Cavalry Division (1915-1917) in Poland and Galicia, and later commander of Cavalry Corps (1917). When, in September 1917, he was transferred to the officer reserve "as unadaptable to present conditions", the career in Russian service was coming to an end. He handed in his resignation on 1 January, 1918, on grounds of the independence of Finland.